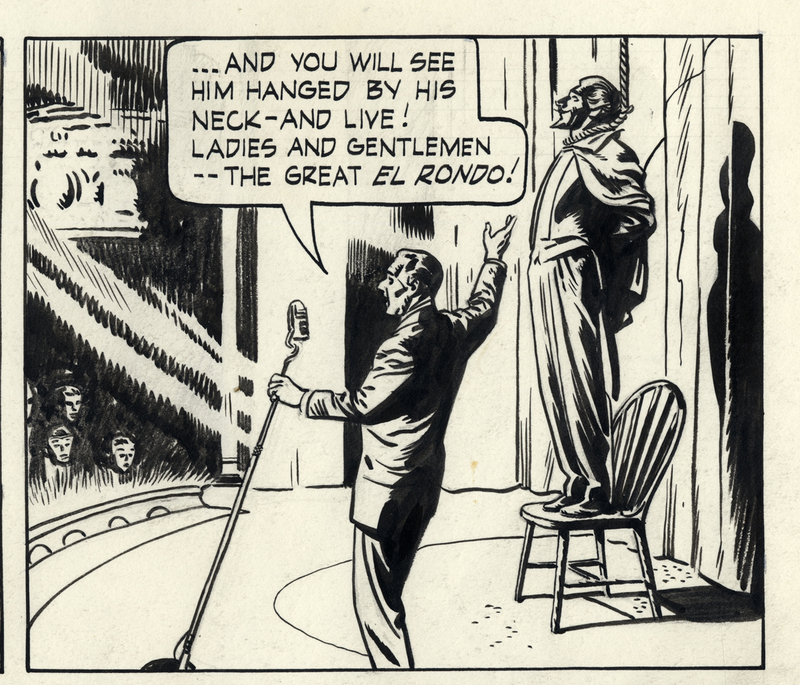 This page by Reed Crandall is from the early 50’s, I’d guess, published by Standard Comics, possibly in “Out of the Shadows” . 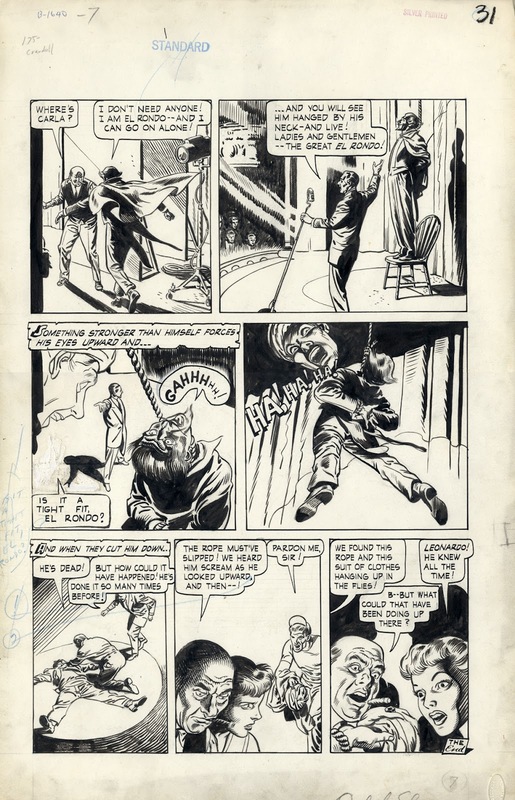 I acquired it in the late 80's, when the Standard archive of original art started hitting the market. I don't remember what I paid for it, but, given my frugality (cheapness) it can't have been more than $250. 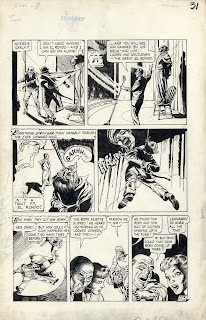 This is a gorgeous page, of commensurate quality to his work for EC around the same period, but without the hideous mechanical lettering and probably a lot cheaper. 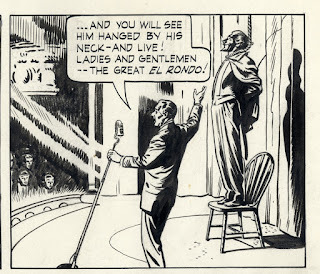 I especially like the way he handled the crowd in the top-right panel, very simple yet evocative, and I thought the way he delineated the glare from the o.s. spotlights was interesting though not entirely effective.